This is Part 3 of my series of Tips and Advice for fishing the Missouri Trout Parks. The other 3 are Bennet Spring, Montauk and Roaring River. 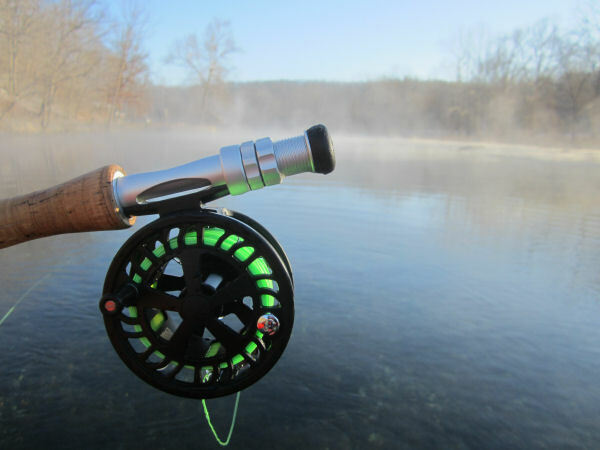 Today we are going to talk a bit about another Missouri Trout Park, Maramec Spring. This trout park is located just south of St. James, Missouri about an hour west of St. Louis in I-44. First off it is important to note that this trout park is actually ran by The James Foundation and not Missouri DNR. I have found it to be a little quirky…first off it is going to cost you to park unlike the other three trout parks. On a positive note….it does stay open during catch/release season and can be fished each day, so if you are really looking for a place to wet a line, this is it. First, if you go, stay in the town of St. James as they have a couple of options that are pleasant and not too expensive; here is the must…eat at Country Bob’s. If you want one of the best meals anywhere and anytime…then Country Bob’s is the place. The locale is just north of exit 195 about a half mile. The folks there are just good people and the food is…well, country and the closest meal to my Grandma Carmichael as it gets. The fishing for me has been spotty. I must admit that I have only been there once during the regular season from March through October. Most of my days angling Maramec have been in the catch and release season. I like to park and walk down to the last half mile of the spring…just before it pours into the Maramec River. Trout can be had at any point from the head of the spring downstream to the mouth of the river. I have found the trout to be similar to others in that at times they are aggressive…and at times things can slow down and be a big tedious. Once again, as you near the river there are man-made islands that protrude into the spring that offer cover for both trout and for a bonus fish…smallmouth. The part I like the best is the fact that there is some good to very good smallmouth fishing to be had…even within the spring. A couple years back I had my 3-weight and a black wooly…I made a cast across stream and allowed the fly to dead drift in front of a log. The water boiled and I strip set the hook on a nice 18 inch, 3 pound version of a smallie. The fish was emerald colored and really put up a nice fight. At the confluence whereby the spring takes a left and turns into the river…a nice phenomenon takes place, the green/aqua spring water meets the sometimes stained river water and the smallies stack up at that point and wait on bait fish to be pulled from the spring into the river. On more than one day I have positioned myself at that point and caught several smallies in a row. From above you can actually find a spot to spy down upon these fish and watch their movements and patterns. This is truly one of the ‘pretty-places’ in Missouri and a spot to stop in on from time to time. If you are tired of driving…then hop off of I-44 at exit 195 and go visit Maramec…you won’t be disappointed.